With Chinese New Year fast approaching, make sure you meet it in auspicious style with these eye-catching seasonal timepieces. Elegance, refinement, and an impressive technical nature are all present in the L.U.C XP Urushi timepiece, making it an anticipated watch every time Chinese New Year comes along. For the Year of the Dog, a beautiful Asian ‘Akita’ breed is depicted on the face, surrounded by a natural setting that’s punctuated with wild orchids and a fluttering dragonfly, which represents both luck and a good omen. The watch is limited to 88 pieces. Piaget celebrates the most important holiday in Chinese culture with the Altiplano watch, masterfully reimagined with a delicate rendering of the year’s zodiac sign. 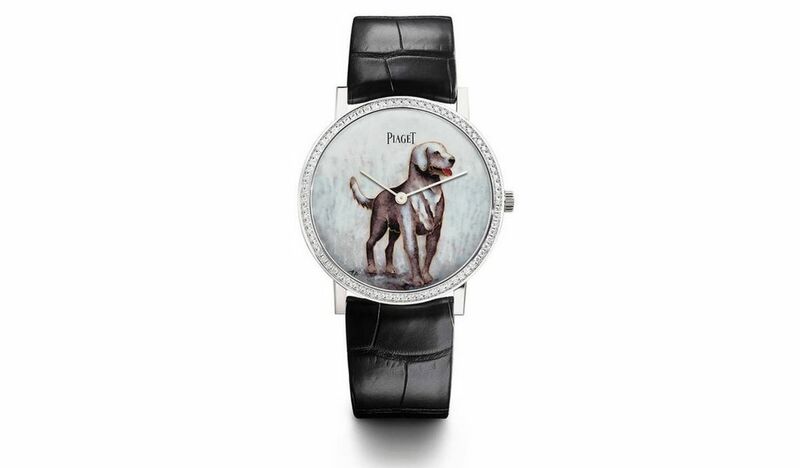 The symbol of the dog comes alive in this limited edition range of 38 pieces, through an elaborate enameling process, which is meticulously drawn and transferred onto the watch face’s surface. Meanwhile, multiple firings and careful varnishing lends the dog a glistening life-like coat. 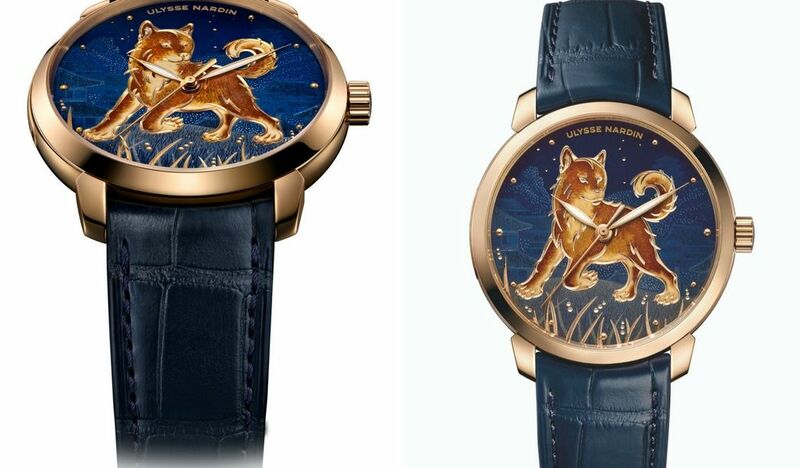 It is said that those born in the year of the dog appreciate the finer things in life, which is why the Ulysse Nardin Classico Dog timepiece is the perfect finishing touch to their wardrobe. The blue and rose gold stunner comes in only 88 pieces and is powered by a self-winding UN-815 movement and boasts a 42-hour power reserve, along with a COSC certification. The pretty package is finished off with a 40-mm case and a sleek alligator strap. 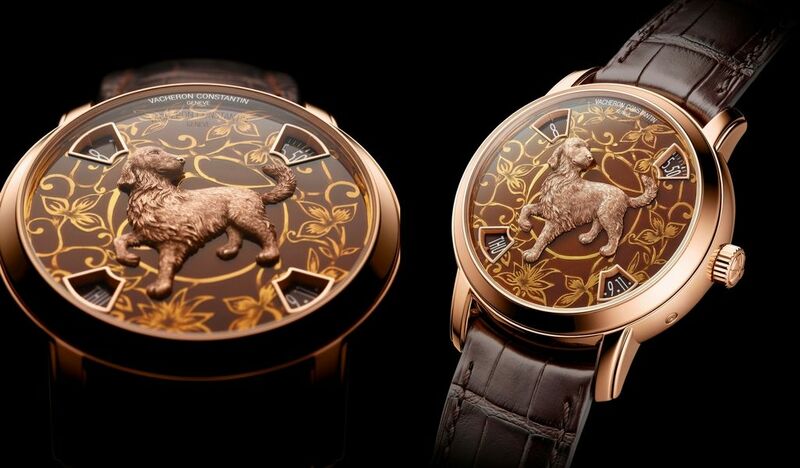 Vacheron Constantin is enticing collectors and devotees of Haute Horlogerie with its own Chinese New Year offering – the Métiers d’Art The legend of the Chinese zodiac, which showcases the loyal, devoted, and reliable dog. 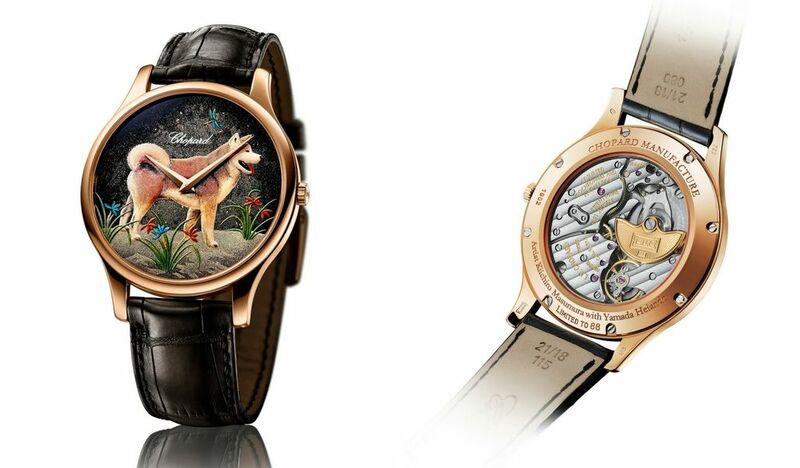 In addition to featuring Chinese iconography, the timepiece also gives a fresh interpretation to the paper-cutting technique known as Jianzhi through the expertise of master engravers and enamellers. The result is stunning; with a platinum or pink gold version limited to 12 pieces each. 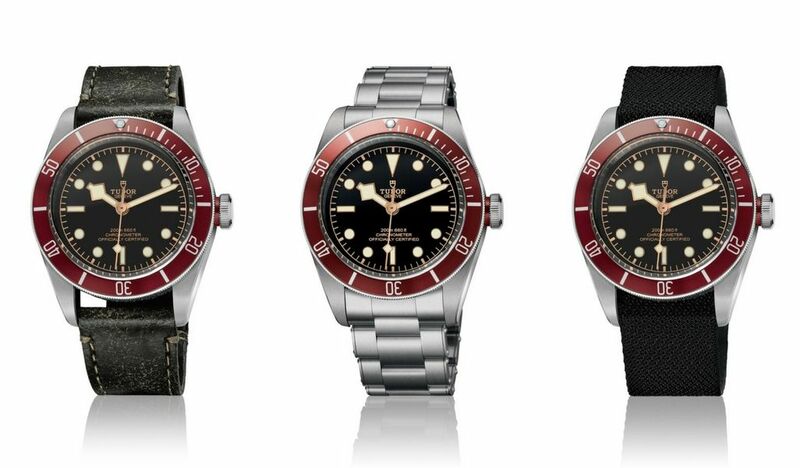 For those who can’t fully commit to a timepiece that features a Chinese zodiac, perhaps the Heritage Black Bay with a burgundy bezel is more up your alley. It’s the perfect understated choice for the season, with a flash of color that will let everyone know that when it comes to the crimson hue, less is more. Based on the original model from 2012, the watch also features a vintage diving watch look, complete with sun-faded “tropical” tones and details found on early version of Tudor Submariners.